The CNBC 'Fast Money Halftime' trading panel listened in on what famed investor Mario Gabelli had to say about the stock market, as well as his top stock picks. 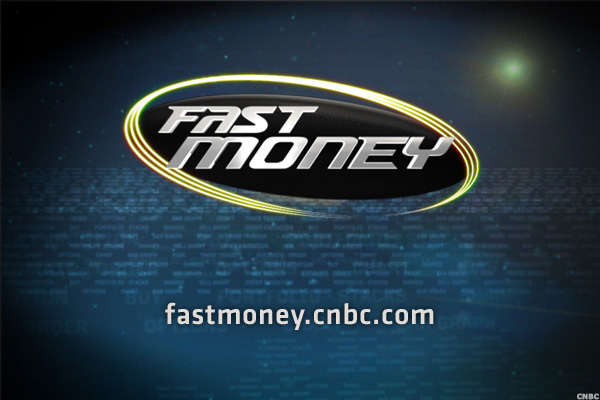 NEW YORK ( TheStreet) -- On Friday's episode of CNBC's "Fast Money Halftime" show, the trading panel was joined by famed investor Mario Gabelli, founder of GAMCO Investors. Gabelli suggested that there are always market headwinds that will weigh on stocks, whether they're caused by the current debacle with Greece, tensions between Ukraine and Russia, or even sudden fears over Ebola breakouts. With that being said, Gabelli believes that it's currency exchange rates that are now dragging on U.S. stocks and their earnings results. These headwinds should subside throughout the year, and he expects 2016 to be a better year for stocks. As for 2015, Gabelli expects some ups and downs, but overall, he still called the U.S. a "great place to be buying and selling stocks." However, he sees even greater opportunities in foreign markets, with Japanese and German equities both looking attractive. He also reasoned that the Federal Reserve seems poised to hike interest rates sometime this year. For the longer term investor, the sell-off in energy seems to be creating up a "great opportunity" to buy stocks within the sector. But he did acknowledge that he is unsure when the best time would be to buy them. More specifically, Gabelli is still bullish on the auto sector, so long as sales remain constant. Even with limited sales growth, automakers like Ford (F - Get Report) and General Motors (GM - Get Report) should do well. He also likes AutoNation (AN - Get Report) , a company he feels will do "extremely well" over the next five years even if car sales stay flat. Gabelli also likes Discovery Communications (DISCA - Get Report) , a stock he says could triple in the next three to four years. He also likes Ryman Hospitality Properties (RHP - Get Report) , GoGo (GOGO - Get Report) , Patterson Companies (PDCO - Get Report) , and American Express (AXP - Get Report) , the last of which he says will hits some short-term "speed bumps" in regards to its earnings results, but should do fine over the longer term. Deere & Company (DE - Get Report) , which reported a top and bottom line earnings beat but forecasts a 17% drop in equipment sales this year, will also endure those short-term blips, Gabelli said. However, it's a great company, and the stock should do well over the next three to four years. It's hard to time the agriculture cycles, he noted. There are a lot of positives going for American Express, added Pete Najarian, co-founder of optionmonster.com and trademonster.com. Although the company lost Costco Wholesale (COST - Get Report) from its payments network, it is seeing an increase in U.S. merchants accepting the card. In regards to Deere, Josh Brown, CEO and co-founder of Ritholtz Wealth Management, noted that despite the guidance on equipment sales, the stock has actually been able to rally on Friday. That doesn't necessarily mean the bottom is in, but it does mean it's likely close, as investors have priced in the bad news already, he explained. Deere is a great stock for long-term investors. Turning to Wal-Mart (WMT - Get Report) , the wage hike was the right thing to do, according to Jon Najarian, the other co-founder of optionmonster.com and trademonster.com. However, it will weigh on the company's results going forward. Investors, he thinks, will get a chance to buy the stock at $80. Investors hoping to generate superior returns won't be doing so with Wal-Mart, says Stephen Weiss, founder and managing partner of Short Hills Capital Partners. Those who want performance from the retail sector should look instead at stocks like Foot Locker (FL - Get Report) , Finish Line (FINL and Macy's (M - Get Report) . For their final trades, Brown is buying Deere & Company and Pete Najarian is a buyer of Applied Materials (AMAT - Get Report) . Weiss said to buy Salix Pharmaceuticals (SLXP and Jon Najarian is buying Ruckus Wireless (RKUS .